Halo: Reach is indeed a Halo game, through and through. If you loved the previous four games in the series (Halo 1, 2, 3, and ODST), you’ll feel right at home with Reach. But if those previous games didn’t do it for you, Reach likely doesn’t do enough things differently to reel you in. That said, I’ve always been a fan of the series, and have quite enjoyed my time with Reach, for the most part. If this truly is Bungie’s last Halo game, they’ve sent it out with style, and packed it with just about everything you could possibly want in a Halo game. Aside from the campaigns, there’s really no reason to hang on to the previous games if you own Reach. If there was such thing as a greatest hits video game, this would be Halo’s. Noble 6, reporting for duty. 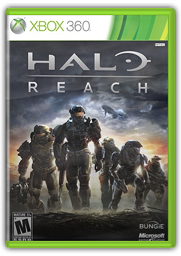 Despite being the fifth game in the series, Reach is a prequel to the original Halo. At this point, there is no Master Chief, and Spartans gather in numbers alongside UNSC soldiers. 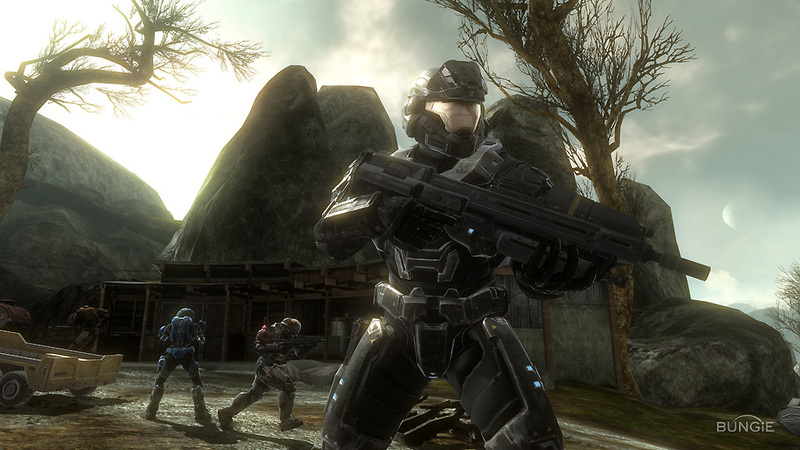 You play as Noble 6, a new addition to Noble Team – a group of Spartans stationed on the planet Reach. If you’re familiar with Halo lore, you’re likely aware that Reach falls to the Covenant prior to Master Chief’s introduction in Halo: Combat Evolved. And since this game is all set on Reach, you know how it’s going to end from the get-go. Like ODST, you’re fighting for the greater good, but knowing full-well that things are going to end badly. 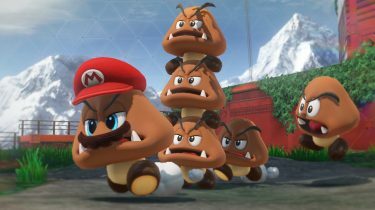 That’s not to say you’ll be able to piece the story together from the outset, and how things unfold is much more interesting and straight-forward than most of the other games in the series. There are some subtle, and not-so-subtle hints at Master Chief’s arrival, and a bit of foreshadowing that made this veteran Halo player smile. One little detail regarding the campaign that I noticed almost right away – the Covenant don’t speak English. I assume this is due to it being so early in the conflict. They likely wouldn’t have had a chance to study and learn human language, which is pretty awesome! While the story is great, the campaign itself can be rather frustrating. I wrote at length about my beefs with the friendly AI, but there’s also the fluctuating difficulty that put a bit of a damper on the experience for me, which again is partly due to the poor AI. I played on Heroic (hard), which is apparently how the game is meant to be played, and there were a number of times I was unsure if I would be able to pass a given section on my own. There just seemed to be too many enemies and too little ammo to get the job done on one’s own. If your Spartan squad-mates could actually pull their own weight, I’m sure things would be different. But aside from getting stuck on objects or simply standing around popping off a shot every 20-30 seconds or so, I found many times that my allies would hang back int he previous area until I cleared it out. Needless to say, even though Master Chief is out of the picture, it still felt very much like a one man show. When it comes to your arsenal, there is a little something for everyone. Many of the old favourites make a return appearance in Reach. Most of which have had a makeover and even had their performance adjusted. The battle rifle for example, looks like the previous version, but only fires single rounds. It still has the scope, so it’s like a low-powered semi-automatic sniper rifle. The version of the pistol that made a return in ODST is present in Reach, and one of my person favourites when facing off against Grunts and Jackals. The assault rifle looks amazing, but is utterly useless on Heroic and Legendary against anything but Grunts. Then there are variations of weapons, like the Covenant equivalent to the battle riffle, which fires the purple exploding needles – faaantastic! As usual, you will have plenty of opportunities to spend time with each of the weapons, and more often than not, have plenty of choice when it comes to available weapons. I remember when we learned about the details of Halo 3’s game modes – single player campaign, four-player co-op campaign, online multiplayer, forge, and theater. 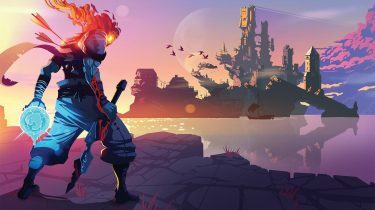 I couldn’t believe a single game could pack so much goodness, but it did, and now Reach has out-done it. 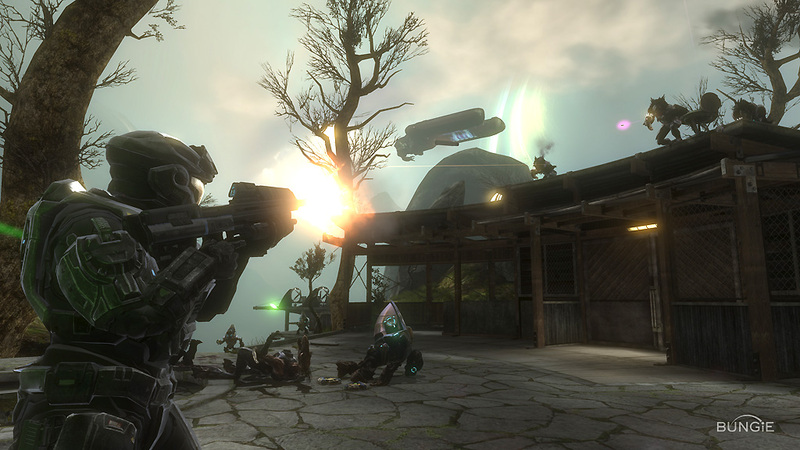 With the addition of Firefight, first introduced in ODST, Halo: Reach is the comprehensive Halo experience. Firefight in ODST was local split-screen, or online with friends. There was no multiplayer, so if you didn’t have friends playing and no one at home to team up with, you were on your own. And in Firefight, you don’t stand much of a chance flying solo. Reach adds matchmaking to Firefight, which is glorious! Once you’ve been matched up with three other players, a selection of three game modes on a single map are presented. 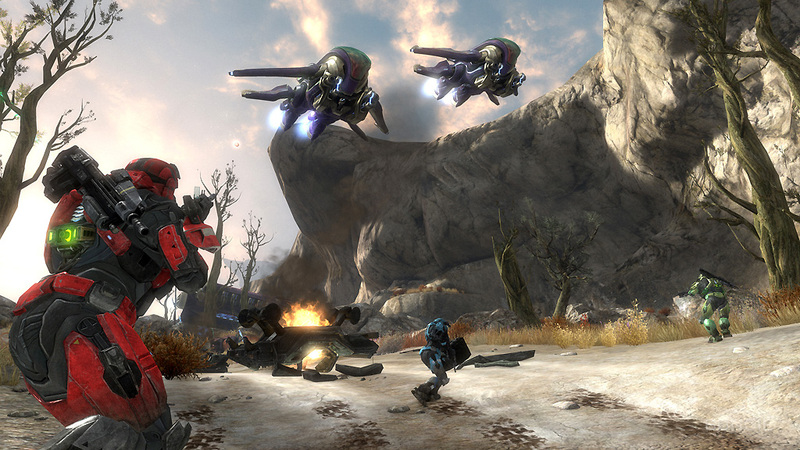 Players vote on the mode they’d like to play, or select “none of the above”, which is the equivalent to “veto” in previous Halo games. Except this time, you are given another three options on a different map instead of being forced into another random game mode. Aside from standard Firefight, there is Gen Defense, which has you defending a handful of generators on the map. And some trigger happy modes like Rocketfight and Sniperfight, which give you said weapons with unlimited ammo. The cool thing about these modes, is that all weapons have unlimited ammo. So even if you’re not crazy about a sniper fest, you can pick up an enemy weapon and go to town with it. One thing that should be noted about Firefight this time around, is the length of a game. In ODST, you could be stuck in a game for hours, literally. If you were playing with other skilled players, you were looking at minimum, an hour. That’s changed in Reach, and games are now only one round (5 waves), which lasts about 10-15 minutes. There isn’t a whole lot to say about online multiplayer. If you’ve played Halo 3 online, you know exactly what to expect. It’s a lot of fun, until someone ruins it, which almost always happens. At the time of writing, I’ve only played a handful of multiplayer games, and completed even less. The betrayal system is totally out of whack, and you are presented with the option to boot a team player that killed you – accident or not. One strike and you’re out, if the person you killed decides so. This happened to me a couple of times, and both incidents were unavoidable. One was purely splash damage from a rocket, and the other was due to a teammate running head first into my tank. Naturally, he died. Then booted me for the “betrayal”. Lame, to say the least, and I haven’t played online since. Apparently, a fix is in the works, but won’t be rolled out until the second half of October. Until then, I’ll stick to Firefight matchmaking. One of the new additions that has really kept me coming back, is the challenges. On any given day, there are five challenges – one weekly, and five daily. Completing a challenge needs you extra CR (credits), which can be put towards armor upgrades and such. I’ve found that I’ll fire up Reach first thing in the morning to check the daily challenges, and decide if I’ll be playing later based on them. Speaking of CR, Reach is the first Halo game to have a global experience/credits system. It spans the campaign, local multiplayer (minimal, but still there), custom games (also minimal), and the various online modes. At the end of each round, you’re awarded CR based on your performance, and any challenges you may have completed. Your rank is based on the CR you’ve earned and is no longer unique to each game mode – you have one rank in Halo: Reach. Aside from your badge, it’s pretty easy to spot players who have put in countless hours since the game’s release. Certain upgrades, like visor colours, are very pricey, and stick out like a sore thumb (in a good, envy inducing way). It’s a big, deep Halo game on all fronts. 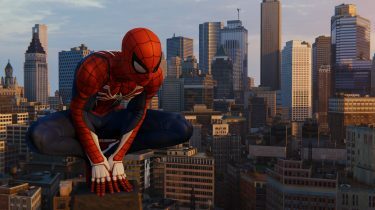 With the exception of the AI issues I ran into through-out the campaign, it’s one of the most solid and polished games you can play.